So, this was one of those things that you see someone post on Facebook and your like, wow, that sounds awesome and easy. These held true to both those adjectives. They were equally easy and awesome! A great snack! Next time I will have to try grilling them. Here is what you do. 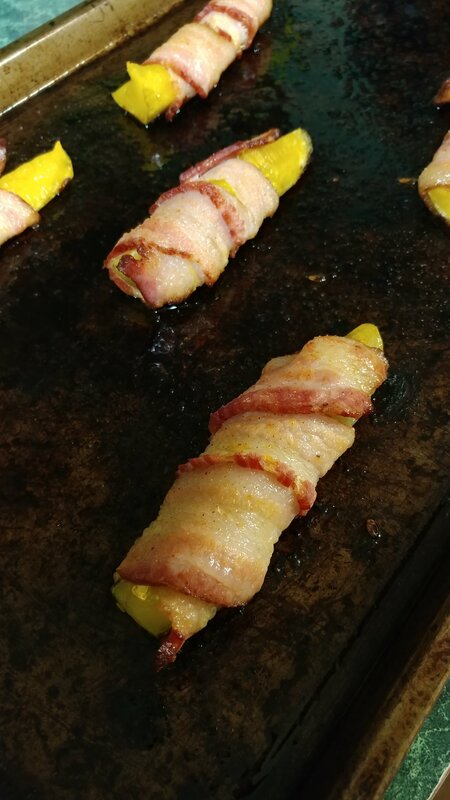 Take your Favorite Brand Pickle Spear and Roll your favorite Bacon up around it and lay it on a cooking sheet. 1 pack of bacon will do roughly 1 jar of pickles. I seasoned them lightly with some Lawry’s seasoned salt. I baked them in the oven for about 18 minutes at 425 degrees. I ate one immediately because I was excited and I would greatly recommend against that. Those F’N pickles are hot as Hell when they come out of that oven! Duh! 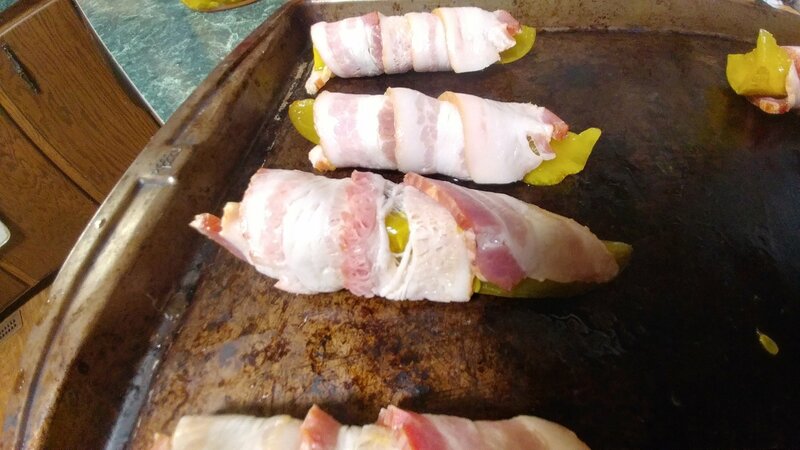 Let them cool about 15 minutes or so and dip them in some ranch dressing while you drink your favorite beer! So good. Can’t wait to make them again! Wow these look absolutely delicious. My family is going to love these on superbowl sunday! Thanks so much for sharing. They are super addicting! There is a ver awesome window with these where they are the perfect hotness but its worth looking for! Just remember to let them cool a little! Hot Pickle juice is no picnic! I’ve made something similar with break sticks and parmesan cheese. Simple but delicious. I’ve made something similar with bread sticks and parmesan cheese. Simple, but delicious. I’m going to have to try that combo! It sounds just as good!